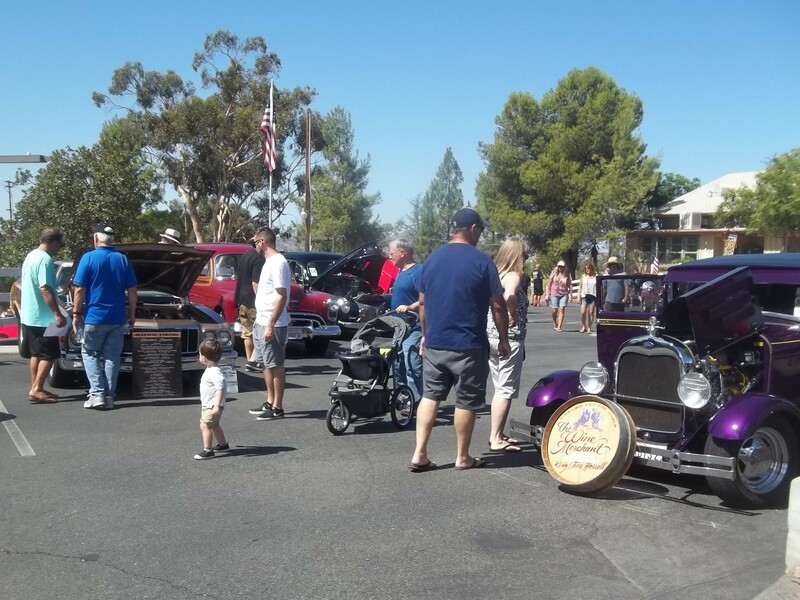 Flavorful chili and hot cars drew crowds on Sept. 22 to the Alpine Kiwanis 2018 Chili Cook-Off & Car Show on Sept. 22 in Alpine! 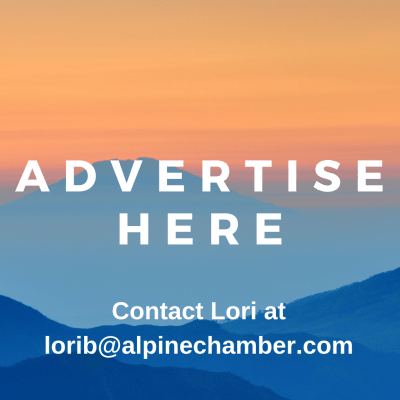 The big annual Kiwanis Club of Alpine event sprawled between the Alpine Community Center Park at 1830 Alpine Blvd. to the Alpine Elementary School at 1850 Alpine Blvd. The Viejas Band of Kumeyaay Indians was this year’s major sponsor. A highlight of the day was a special Kiwanis award to military veteran Dan Foster, who started the Alpine Wall of Honor movement. Foster continues to add names to the veterans’ wall at the Alpine Community Center. Out of 15 Chili Cook-Off cookers, those who attended voted Alpine VFW Post 9578 the winner. Alpine Country Feed & Supply at 2101 Alpine Blvd. won second place and the “Make Chili Great Again” booth by Head East Salon at 1981 Arnold Way was third. 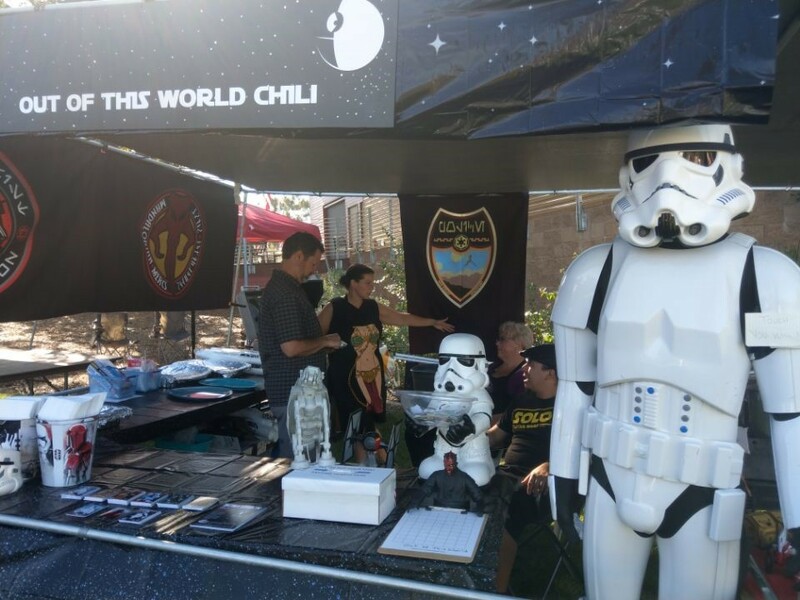 Out of This World Chili was voted best-decorated booth. Star Wars’ Sand people and stormtroopers mixed with the hundreds of guests, a variety of vendors and cookers. Intriguing aluminum can items, beautiful jewelry and other items were sold. The Ideas band played classic rock and other easy listening music. At the car show, out of 74 entries covering almost nine decades of beautifully restored vehicles, 39 winners took home patriotic trophies sporting American eagles and flags. Proud of his 1936 “humpback” sedan with its compact trunk, Bill Havens of Spring Valley said it was his first time at the show. Car show committee member Jerry Price thanked all the sponsors and people who entered the fundraising event. The Alpine Kiwanis club ---- second largest in California, Nevada, and Hawaii ---- is dedicated to helping children in many ways.